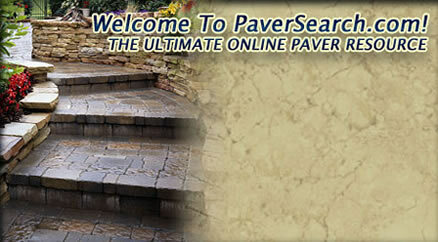 Post Your Project on PaverSearch.com to access local, pre-screened paver and landscape professionals that can complete your project promptly and professionally. Connecticut Counties - Find a local, pre-screened paver professional! Post Your Project to receive up to 4 bids from local professionals. There are many quarries in the state of Connecticut. In the late 1800’s there was a huge granite quarry that operated on Seldon Island. This quarry used to supply paving stones to New York City. The Leetes Island Quarry: this quarry is listed, but it is not specified as to what type of natural stone was quarried here. The Gillette Quarry: located at Haddam Neck, East Hampton. Haddam Granite Quarries: there a many granite quarries in Haddam, Connecticut. These quarries would supply granite paving stones to New Orleans and Sa3vannah, by loading up boats and shipping them off. Paving stones are so often used to commemorate special events or special people. This was the case with the design of the veterans memorial in west hartford, connecticut. The design include a spiraling wall of peace, where a timeline is shown to represent important events. This wall is constructed out of granite and limestone blocks. The walkway around this memorial is paved using 10” by 5” by 2” solid granite polished paving stones. The names of veterans who served in this war will have their names engraved on these walkway paving stones. By having the names of those great and brave soldiers engraved on the granite and limestone wall blocks as well as the granite paving stones along the walkway, they will be remembered forever. The engraved paving stones show a mark of respect for the soldiers and their families. 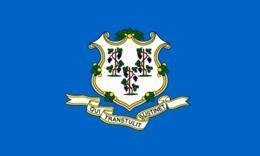 Connecticut was part of the New England region during the British ruling that resulted in the American Revolution. There were thirteen colonies including Connecticut that was ruled by the British. To the south, Connecticut is bordered by Long Island Sound and to the west it is bordered by New York State. On the north by Massachusetts and the east is Rhode Island. The state capital of Connecticut is Hartford. In total, there are eight regions and 169 towns. There are two regions that continually compete for tourism, new residency, economy, and internal pride. They are Greater New Haven and Greater Hartford. Connecticut is one of the wealthiest states in America. Where New York borders the southwestern side of Connecticut is a town called Fairfield Country. This town has the wealthiest residents in the world. Connecticut is a popular tourist destination with travelers from all over the world. With its natural beauty, peacefulness and breathtaking scenic mountains and greenery, this is why it is such a popular state.